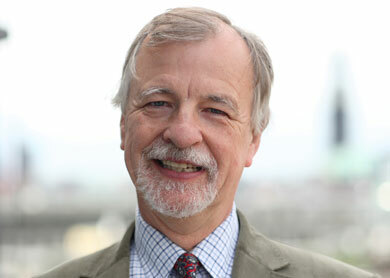 Prof. Herbert Girardet is co-founder of the World Future Council. He is a leading consultant on sustainable development and a recipient of a UN Global 500 Award ‘for outstanding environmental achievements’. For many years he has focussed mainly on the challenges of sustainable urban development and he is often called the world’s leading urban ecologist. He has been a consultant to UNEP and UN-Habitat and has developed sustainability policies for major cities such as London, Vienna and Bristol. In 2003 he was inaugural ‘Thinker in Residence’ in Adelaide, developing sustainable development strategies for South Australia which have been largely implemented. He also worked as senior adviser to the Dongtan Eco-City project on Chongming Island, Shanghai. AFrom 2010 to 2013 he was a senior consultant to the Saudi Sustainability Initiative, based in Riyadh. 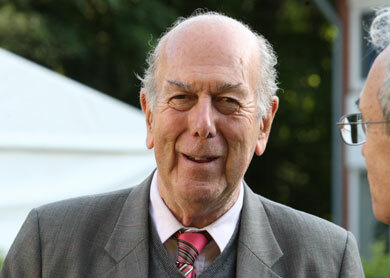 From 1996 to 2008 Herbert was chairman of the Schumacher Society, UK. He is a full member of the Club of Rome, an honorary fellow of Royal Institute of British Architects, a member of the World Academy of Art and Science, a patron of the Soil Association, UK, and a visiting professor at University of the West of England. He has produced 50 environmental TV documentaries for major broadcasters. He is author and co-author of 13 books, amongst these: CITIES, PEOPLE, PLANET – Urban Development and Climate Change, 2004 and 2008; SURVIVING THE CENTURY – Facing Climate Change and other Global Challenges, 2008; A RENEWABLE WORLD – Energy, Ecology, Equality, 2009. His latest book CREATING REGENERATIVE CITIES was published by Routledge in 2015. He has written many other reports and chapters for books.